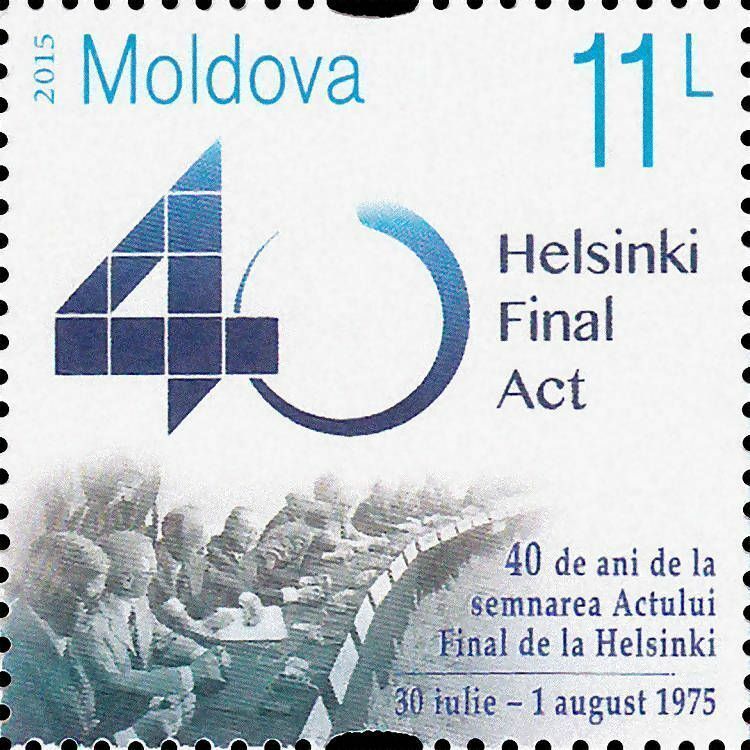 On 30 July 2015, the Post Office of Moldova (Poșta Moldovei) issued a postage stamp with the title Signing of the Helsinki Final Act - 40th Anniversary. The issue comprises one stamp, with an associated cancellation (postmark) and first day cover (FDC). The designer was Vitaliu Pogolşa. The printing was performed by Nova Imprim, Chişinău. The Helsinki Accords, Helsinki Final Act, or Helsinki Declaration was the final act of the Conference on Security and Co-operation in Europe held in Finlandia Hall of Helsinki, Finland, during July and August 1, 1975. Thirty-five states, including the USA, Canada, and most European states except Albania, signed the declaration in an attempt to improve relations between the Communist bloc and the West. The Helsinki Accords, however, were not binding as they did not have treaty status. Read more.. This article uses material from the Wikipedia article 'Helsinki_Accords', which is released under the Creative Commons Attribution-Share-Alike License 3.0.